Point2 Homes gives you far more than a simple list of houses for sale. Get instant access to a lot of relevant information about West Kelowna, BC real estate, including property descriptions, virtual tours, maps and photos. The search results pages also have a wealth of information on West Kelowna, BC, if you scroll all the way down. 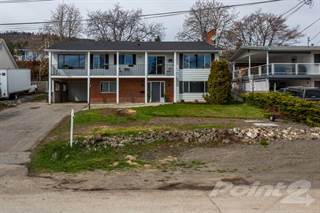 There are 285 houses for sale in West Kelowna, BC. 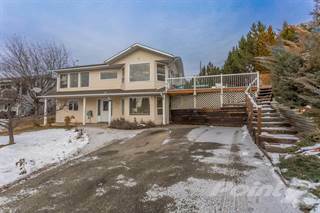 Searching homes for sale in West Kelowna, BC has never been more convenient. With Point2 Homes, you can easily browse through West Kelowna, BC single family homes for sale, townhomes, condos and commercial properties, and quickly get a general perspective of the real estate prices. Also, you’ll never miss a bargain if you filter listings based on house price drops in the past six months. Use the map view to find West Kelowna, BC homes and apartments for sale, based on amenities or city features that you may want close by. You can close in on a specific neighbourhood or area by simply drawing around them with the polygon or radius tools. Stay informed about the latest entries on the real estate market by saving your searches. This way, you get new listings in your inbox, daily or every week, based on your preferences. If you’d like to get in touch with a professional, agents are displayed next to their listings, and they’re easy to contact through the online forms. If you want more options, you can click the Tools tab and Find an Agent, and you’ll get a list of helpful and knowledgeable real estate agents in West Kelowna, BC. Visit the Point2 Homes blog and you can find up to date expert advice on many markets throughout Canada, regular market reports, neighbourhood scoops in cities throughout the provinces, real estate deals and useful recommendations. West Kelowna, British Columbia is located in the Okanagan Valley. With a population of over 30,000 people, the city is the second largest in the Regional District of Central Okanagan. The city covers 123.51 square kilometers and borders two self-governing First Nation reserves. West Kelowna is also sometimes known as “Westbank”. West Kelowna’s largest industries include agriculture, construction, and lumber manufacturing. The retail, tourism, and service industries also employ many people in the area, as West Kelowna is a popular tourist destination with a number of hotels, wineries, and restaurants. Outdoor activities such as hiking, skiing, mountain biking, and swimming are popular in West Kelowna, at locations such as Mt. Boucherie (a 60-million-year-old dormant volcano), Memorial Park, Telemark Nordic Club, and Smith Creek Gruel. West Kelowna’s largest industries include agriculture, construction, and lumber manufacturing. The retail, tourism, and service industries also employ many people in the area, as West Kelowna is a popular tourist destination with a number of hotels, wineries, and restaurants. There are approximately 1,500 businesses operating in West Kelowna, many of which are locally owned small businesses. The city’s steadily growing population adds to the economic growth and varied industries located here. The Economic Development Office in West Kelowna offers opportunities for community growth and investment in the city’s economy through various partnerships, programs, and initiatives. Outdoor activities such as hiking, skiing, mountain biking, and swimming are popular in West Kelowna, at locations such as Mt. Boucherie (a 60-million-year-old dormant volcano), Memorial Park, Telemark Nordic Club, and Smith Creek Gruel. Food enthusiasts can enjoy the Westside Wine Trail, which includes winery tasting rooms, restaurants, and wine education events. The Gellatly Nut Farm is a century-old working nut farm, and Westside Farm Loop offers produce for picking and tasting. Westbank Centre hosts the Westbank Farmer’s Market and provides a number of diverse dining options. The city is divided in three main areas: the Center, the North and the West. West Kelowna’s central section includes the communities of Smith Creek, Shannon Lake, Lakeview Heights, and Casa Loma. Smith Creek is a predominantly residential area with a number of parks, and Shannon Lake is a residential area that includes a park, a small lake, and the Shannon Lake Golf Course. Lakeview Heights has Highway 97 running through it and is home to a number of businesses, and Casa Loma has many wineries andis located next to Okanagan Lake. Rose Valley is the city’s northern section and is home to a number of bed and breakfast establishments, as well as some retail and dining options. Rose Valley has access to two large bodies of water (Rose Valley Lake and Okanagan Lake), as well as parks such as the Rose Valley Regional Park. Glenrosa, Westbank Centre, Mission Hill/Sunnyside, and Gellatly Bay are communities found in West Kelowna’s southern section. Glenrosa is mostly a residential area, while Westbank Centre has more retail, dining, and entertainment options. Mission Hill/Sunnyside and Gellatly Bay are located on the bank of Okanagan Lake, and both neighbourhoods are slightly less populated than other neighbourhoods are and include natural areas such as parks and marine locations. The housing in Rose Valley is large, luxurious, and comes at a price that reflects its size and quality. 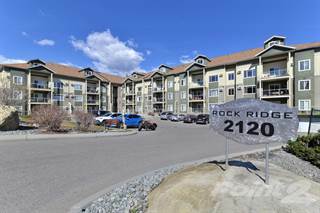 Sprawling lots, gorgeous views, and many square feet offer high-end living in the northern section of West Kelowna. Many properties have large garages and those close to lakes often have water access. There is also vacant land available, for prices that reflect the desirability of the area. Housing in the central communities of West Kelowna (Smith Creek, Shannon Lake, Lakeview Heights, and Casa Loma) is a mix of more affordable, smaller homes and newer, larger, and more expensive homes. Smith Creek and Shannon Lake offer smaller homes with price tags to match, while Lakeview Heights and Casa Loma provide higher-end options for those looking for something larger and newer. There are some condo and townhouse options available in these areas, as well as commercial real estate. In the southern section of West Kelowna (Glenrosa, Westbank Centre, Mission Hill/Sunnyside, and Gellatly Bay), there is a mix of condos, single-family homes, and commercial spaces. Older single-family homes sell for less than the larger, newer builds. Most homes have at least a single garage, and many of the lots are quite large. There are eight elementary schools (K-6) in School District 23 (Central Okanagan), as well as two middle schools (7-9). The only high school in the area is Mount Boucherie Senior Secondary School (10-12). First College, located in West Kelowna, offers limited programs in trade and healthcare. Okanagan College in nearby Kelowna has a variety of programs to choose from, including tourism, business, and engineering technology. The University of British Columbia also has a campus in nearby Kelowna with courses in healthcare, the arts, and business.